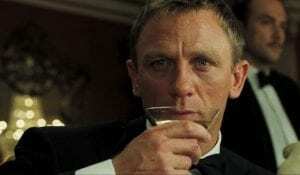 A recent analysis of the drinking episodes of popular film icon James Bond has found that 007 has a drinking problem. It’s so severe, they categorized his chronic drinking abuse as an alcohol use disorder as defined by the DSM-5. Interestingly, while Bond films have changed over time in several ways, one trend researchers have picked up on is the increase in alcohol and alcohol-related products on screen in Bond’s immediate environment. Read more here.